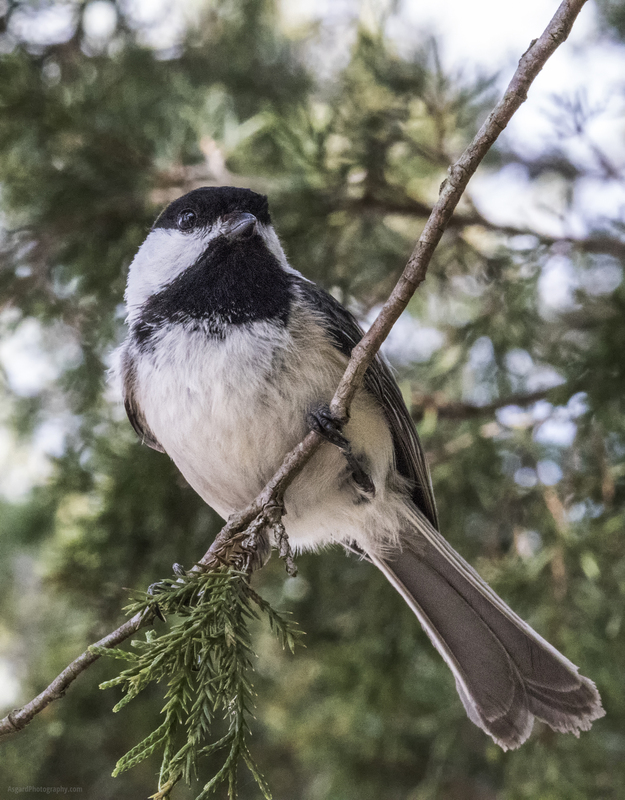 The best thing about Kensington Metropark in Michigan is that while you’re walking the trails you can feed several species of birds right from your hand. When you aren’t feeding them, they tend to follow you a while just to be sure you don’t have a handout. 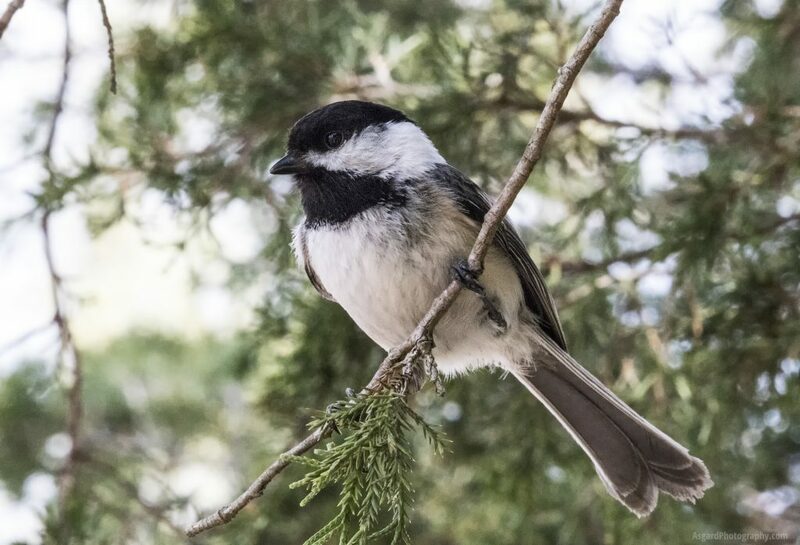 Chickadees are one of those that are the most friendly there. This little guy was convinced I had a treat for him. I’ve included a second shot where he’s posing a little differently as a second download, and you can click the thumbnail to view it larger. With shots like this, I really like getting the blurry background (called “bokeh”) as a contrast for the subject. I especially like when it’s trees in the background.